Hafod is a traditional hard cheese handmade by Sam and Rachel Holden on Wales’ longest certified organic dairy farm, Bwlchwernen Fawr. 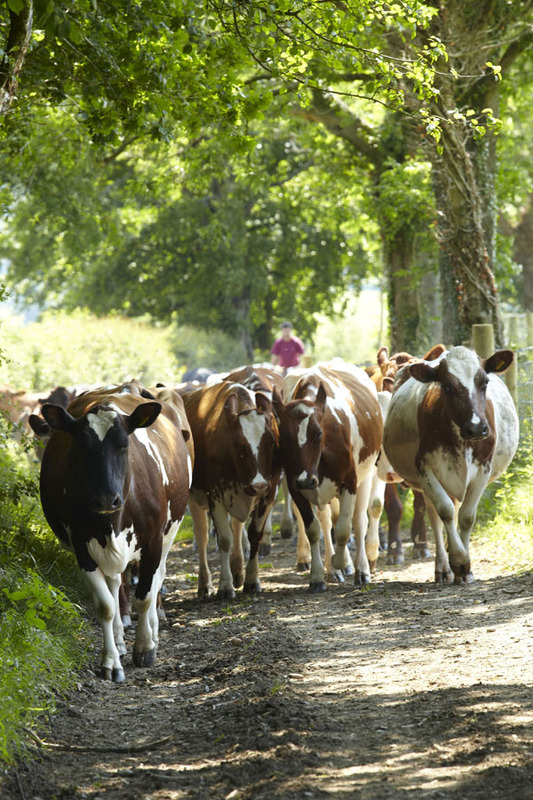 We only use the raw (unpasteurised) milk from our 65 Ayrshire cows to make Hafod. 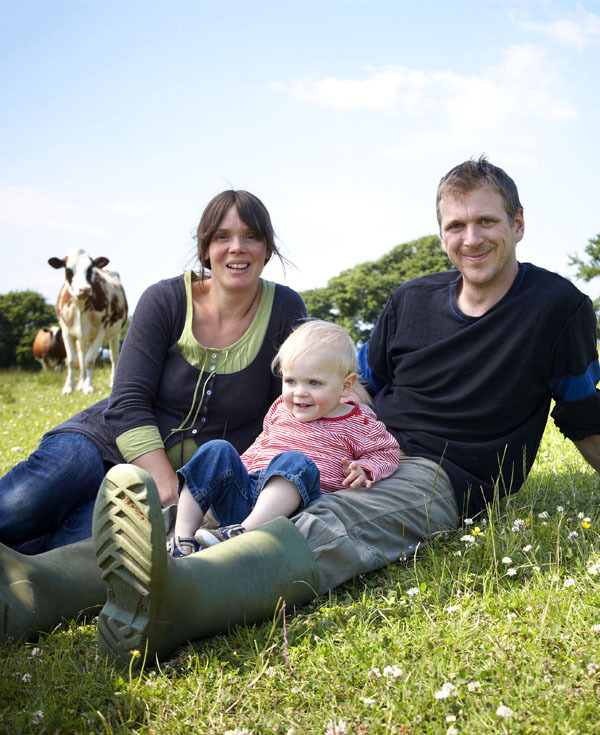 Ayrshire milk is rich in butterfat and protein, and is widely regarded as being ideally suited to cheesemaking. 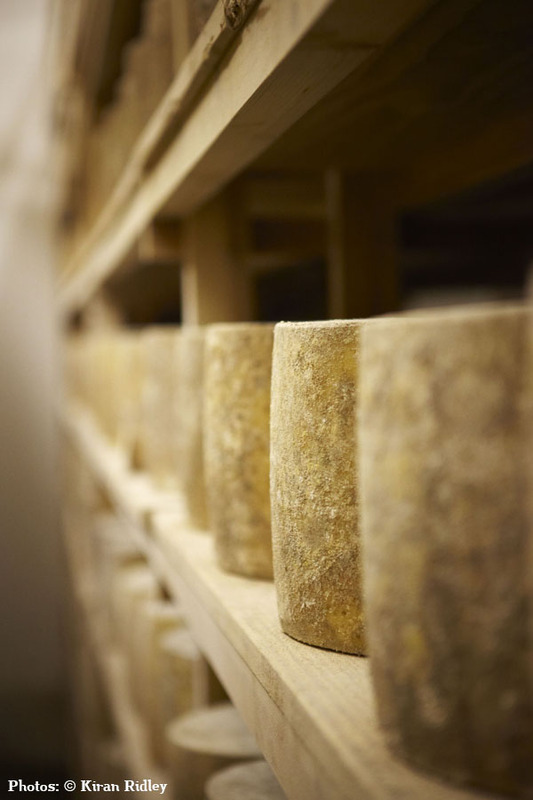 It is this unique combination of creamy organic Ayrshire milk and traditional cheesemaking techniques that give Hafod its buttery, rich and nutty flavours. The name – Hafod (pronounced Havod) – is Welsh for summer place or pasture. In the farm’s case, Hafod is an area of meadow next to the river Aeron where all the cows graze as heifers before joining the milking herd. Bwlchwernen Fawr has been farmed organically for 35-years, by Sam’s father Patrick Holden, Director of the Soil Association. We make a small batch of Hafod every other day, piping milk directly from the milking parlour into our Dutch, wooden sided open vat in our purpose-built dairy. 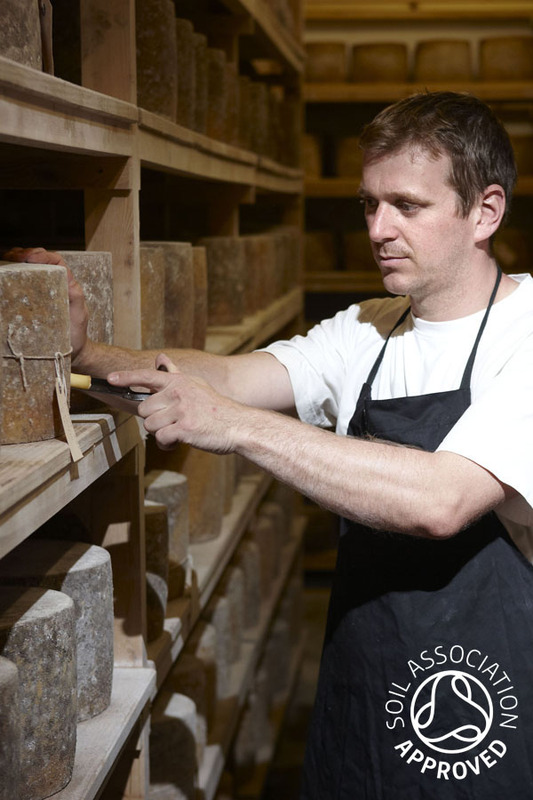 10 to 18 months, during which time it develops a traditional mould rind. Award-winning Hafod is now available direct through your door. The innovative ‘letterbox’ cheese is a cleverly cut large semicircular slice ideal for posting, so the cost is kept down and there’s no need to wait in for delivery. The wedge is a great gift for a cheese lover and perfect on a cheeseboard – or just enjoy it with a chunk of bread and a glass of beer.